Legendary builders and their boats fill the pages of North Carolina maritime history books, with names ranging from sportfishing icons Warren O’Neal and Omie Tillett to production boatbuilding legends, such as Grady-White’s Eddie Smith and Hatteras founder Willis Slane. With some of the surliest waters on the East Coast serving as their proving grounds, an array of vessels with seakindly hulls and sturdy construction have emerged during the past 75 years to do battle in the Graveyard of the Atlantic. 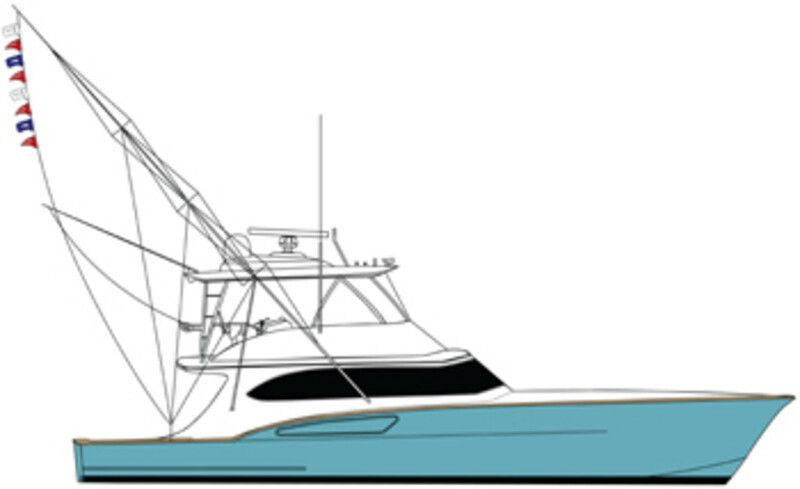 Most North Carolina sportfishing boats share a handful of characteristics: a proud bow with exaggerated flare, a broken sheer line that steps down where the cabin and cockpit converge, a sharp entry that gives way to a modified-vee hull and aft hull sides with tumblehome, as well as prominent spray rails and an S-curve-shaped stem. In addition to aesthetic appeal, these traits give North Carolina boats the ability to safely navigate the Tar Heel State’s inlets and the Atlantic off the Outer Banks. However, the traits that give the boats their pleasing profiles also are functional. The broken sheer allows builders to give the boats a large cabin. The sharp entry allows the hull to cut through a head sea. The flared bow throws down spray, and the shallow vee shape aft adds stability in a following sea. As the boats have become bigger and faster, their hulls below the waterline have been modified to keep pace. Randy Ramsey, founder of Jarrett Bay Boatworks in Beaufort, has remained true to the basics of the modified-vee designs of his predecessors but has added prop pockets and convex sections to the bottom to maximize speed. Carolina roots run deep The roots of North Carolina sportfishing boats can be traced to the commercial fishing boats of the late 1800s and early 1900s, beginning with the sharpie sailboats that worked the southern Outer Banks. “Many of the sportfishing boats are direct descendants of working watercraft,” says Paul Fontenoy, curator of maritime history at the North Carolina Maritime Museum. “Their predecessor was the Core Sounder, basically an adaptation of a sharpie so it would function under power. They put a vee-bottom in the forward part of the hull.” On the northern Outer Banks, the shad boat — the state boat of North Carolina — served as the main vessel for commercial and sport fishing. 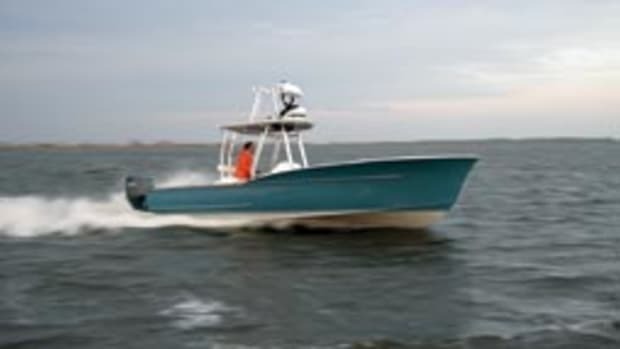 The commercial Core Sounders spawned Core Sound sink-net boats, which were built for sport fishing, says Neal Conoley, co-author of Carolina Flare: Outer Banks Boatbuilding & Sportfishing Heritage (available at amazon.com). “These vessels were ideal for inshore and near-shore commercial and sport fishing,” Conoley writes. “They had a trunk cabin, straight stem, sweeping sheer line and round stern.” Sport fishing picked up after World War II, as folks had more leisure time and coastal tourism in North Carolina grew. “The heart of the charter season was from Memorial Day to Labor Day,” says Conoley. “The commercial fishermen would remove their nets for the summer and replace them with a few chairs in the cockpit for clients.” Two groups of builders emerged in the 1950s. On Harkers Island in Carteret County, James and Earl Rose, James T. and Paul Gillikin, Ray Davis and others were honing their skills, says Conoley. Several builders set up shop on Roanoke Island and began building boats under the tutelage of Warren O’Neal, who Conoley calls the father of the Carolina sportfishing boat. O’Neal passed his knowledge on to men who would become North Carolina icons, such as Omie Tillett, Buddy Davis, Rick Scarborough, Sunny Briggs and Sheldon Midgett. “O’Neal did not build a huge number of boats, but he was a very influential builder because he trained a lot of other boatbuilders,” says Fontenoy. “Many boatbuilders worked for him and learned a lot from him.” O’Neal and Tillett teamed up to build the first big sportfishing boat of the modern era — the 46-foot Sportsman, launched in 1960, says Conoley. “It was designed with all the characteristics that became known as the North Carolina style,” says Conoley, who owns a restored O’Neal-built boat, a 1979 28-footer named Carolina Flare. “The broken sheer line, tumblehome aft and sharp entry flattening to the stern were the three main traits.” When O’Neal started building his post-WWII sportfishing boats, some of his inspiration came from the Rybovich boatbuilding family in Florida, says Fontenoy. “[O’Neal] in fact called his own boats O’Neal-o-Viches,” says Fontenoy. “I always thought that was funny.” O’Neal handed the baton to such men as Tillett, who passed on his boatbuilding knowledge to upstarts who are still at it today. One of them is Randy Ramsey, founder of Jarrett Bay Boatworks in Beaufort, North Carolina. “Warren and Omie certainly continue to influence all of us who build boats in North Carolina,” says Ramsey. “We have to give them credit because anything we build today can be traced back to those days. It’s important that we all don’t forget where we came from.” — C.L. Construction materials and methods also have improved to increase hull strength without drastically adding weight. 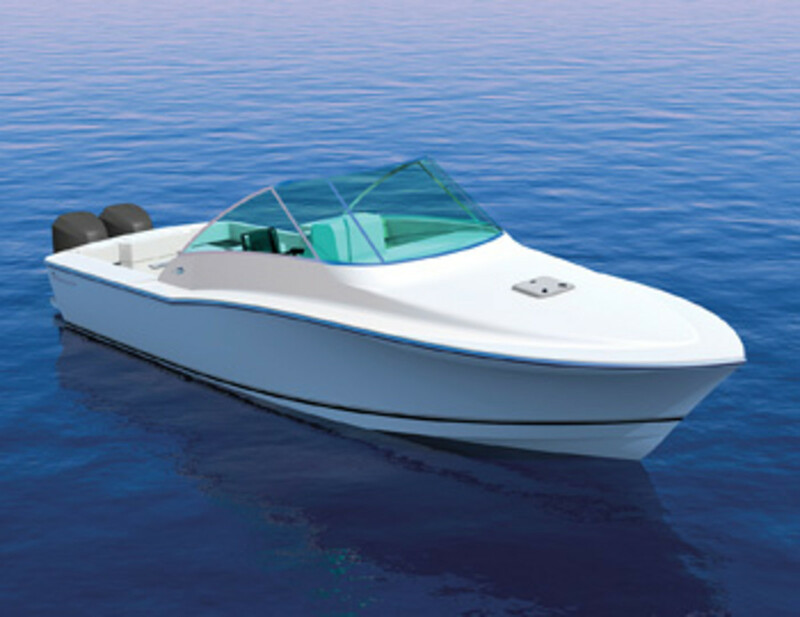 Many custom builders still build cold-molded wood hulls, but some build only with fiberglass and composites, using resin infusion and other modern processes. Ramsey uses a mix of old and new processes at Jarrett Bay. The latest build consists of a cabin created with composite materials and a cold-molded hull. The interiors of these boats have changed, too. “Private boats were once bare-bones, with a head, a sofa, maybe one berth and no electronics,” says Conoley. The saloons, galleys and staterooms have become lavish, filled with custom countertops, cabinetry and furniture. Interior designers have become an integral part of creating the boats’ living areas. In addition to Barbour Boats in New Bern, Simmons Sea Skiffs in Wilmington was turning out beautiful small boats, adds Conoley. Builders such as Grady-White and Parker continued the small-boat tradition in the 1960s and ’70s. Grady-White started with runabouts, bowriders and ski boats, then made a commitment to salt- water boats in the early 1980s. Linwood Parker, of Parker Marine Enterprises, left the commercial fishing sector to build recreational boats in 1979. In 1978 Scott Harrell founded Albemarle Boats in Edenton, and he has made his mark with rugged deep-vee express models. Other companies sprouted up, including Regulator Marine, also in Edenton, which began building center console boats in the late 1980s and continues to do so today. Unfortunately, to cover every Carolina builder, you’d need to write a book. We suggest Conoley’s Carolina Flare. Paul Mann built himself a 53-foot charter boat in 1988, and when fellow charter skippers saw Mad Hatter on the water, they began asking him to build them something similar. “I built one and then another and then another — that’s how it all started,” says Mann, 57, president and CEO of Paul Mann Custom Boats in Manns Harbor, North Carolina. The company, which employs 27 and has built 42 boats from 52 to 81 feet, has three models under construction — two 60-footers and a 76-footer. Hull No. 138, a cold-molded boat, will be completed first. This 60-footer will be powered with twin 1,550-hp MAN diesels and hold 1,750 gallons of fuel and 300 gallons of water, says Mann. The Florida couple it’s being built for plans to “travel great distances and fish often,” he says. She’ll have two large staterooms and two heads, as well as a walk-in pantry/laundry/rod storage room. Grady-White’s rich history began when Glen R. Grady and Don F. White started the company in a tobacco warehouse in 1959. In 1968, 26-year-old Eddie Smith, who had been working in his family’s hosiery sales business, bought the company, bringing aboard engineering and manufacturing guru Wiley Corbett. The pair produced an array of runabouts, bowriders and ski boats. 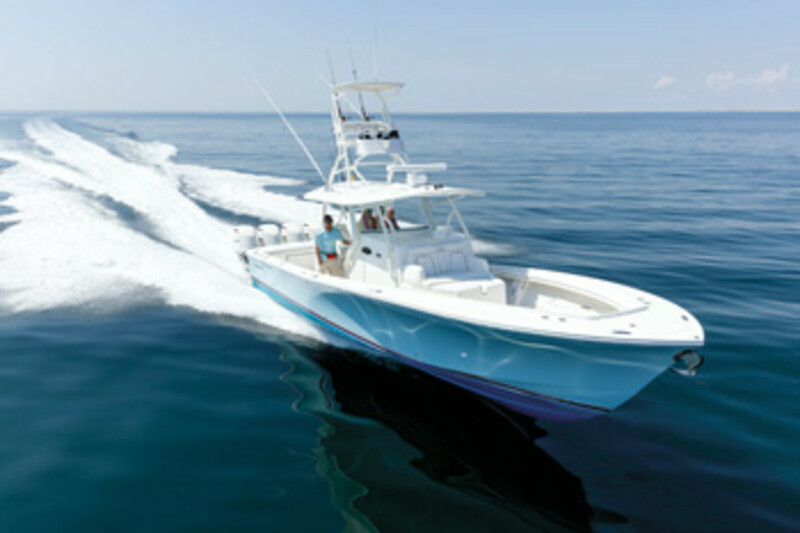 In 1977 Corbett and Smith decided to steer the company to the larger-boat market, introducing models with self-bailing cockpits, new styling and fishing features, marking the beginning of Grady-White’s dedication to saltwater fishing boats. 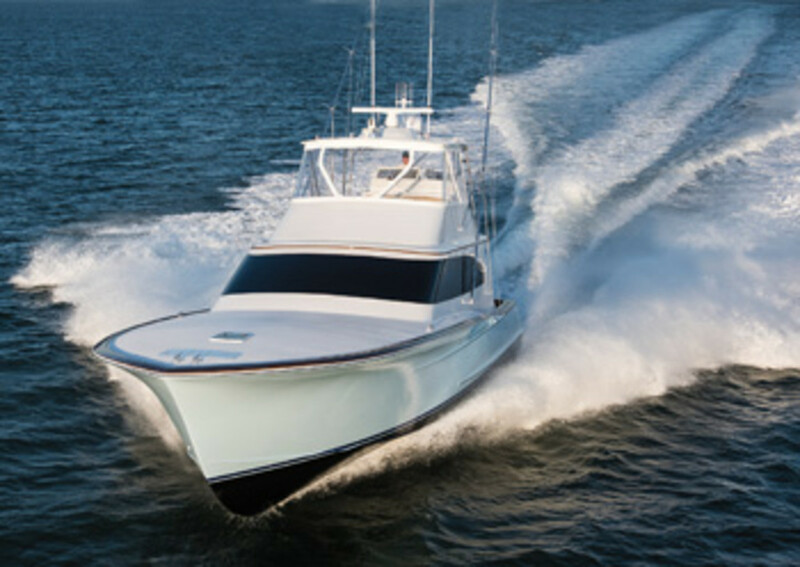 A few of the landmark boats include the 1975 204C Hatteras Overnighter walkaround, the 1975 20-foot Hatteras center console, the sterndrive 254 Kingfish (the largest fiberglass boat in its category in 1977) and the 28 Marlin (the first with the C. Raymond Hunt and Associates SeaV2 hull) in 1989. The Grady-White fleet today includes center consoles, dual consoles, express cabin boats and walkarounds from 18 to 37 feet. 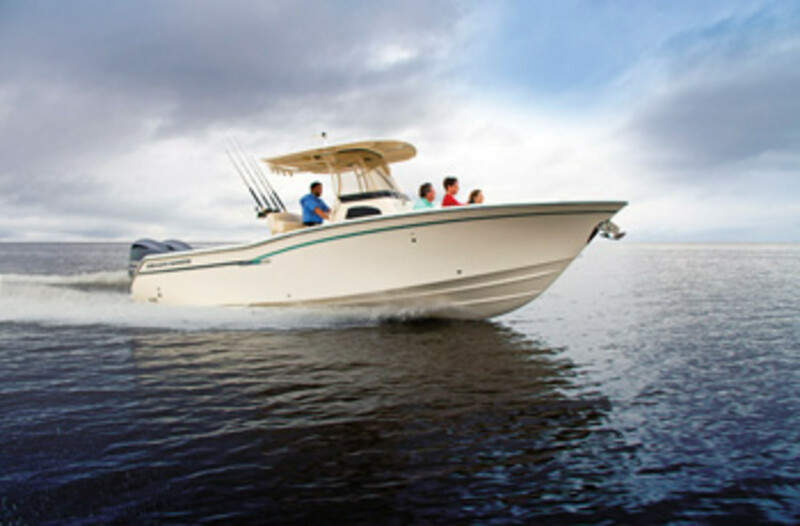 This winter, the builder introduced a second version of its 27-foot center console: the Canyon 271 FS (forward seating). 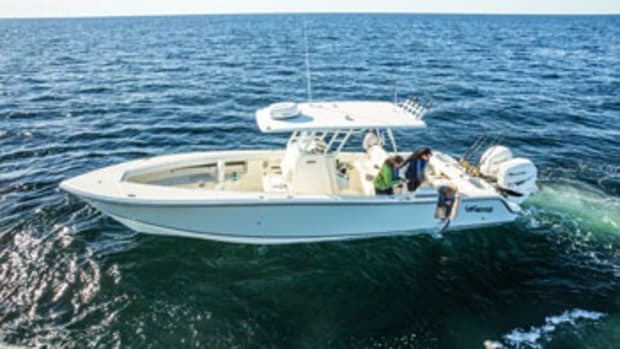 The original Canyon 271, which remains in the fleet, is designed to fish, with a big live well, rigging station, rod holders and an open bow. 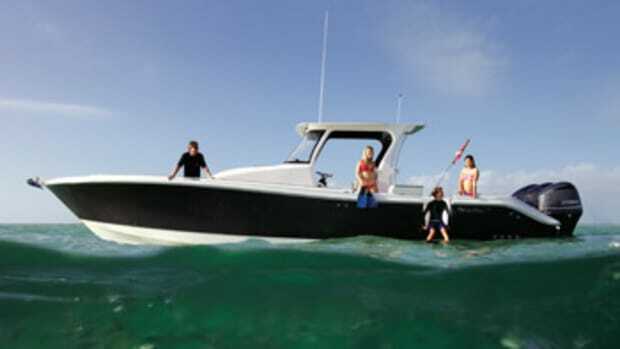 The FS model is geared more toward day boating, with port and starboard cushioned seats and a forward console seat. The builder also has upgraded the helm with a wraparound acrylic windshield that improves sightlines while increasing protection from the elements. 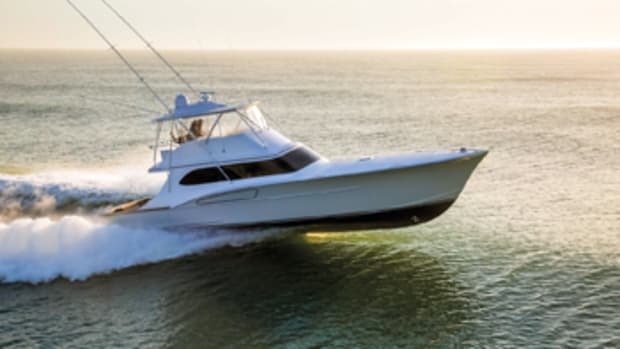 Jarrett Bay Boatworks was founded in 1986 when longtime offshore charter captain Randy Ramsey, working with legendary Carolina builder Omie Tillett and naval architect Glen Haught, set out to build his own 52-footer. Little did Ramsey know he was about to become a boatbuilder by trade who would go on to produce sportfishermen from 34 to 77 feet. “I went from the bridge to the boat shop,” says Ramsey, 53, who gave up chartering for boatbuilding full time in 1993. The company, founded in a tin shed on Jarrett Bay in Williston, North Carolina, has built 95 boats, the latest a 77-footer. Construction has also begun on an 84- and a 90-footer. The Jarrett Bay 64 Builder’s Choice, which was launched at last year’s Fort Lauderdale International Boat Show, is the fourth boat the company has built for the same family. Jarrett Bay builds a cold-molded hull with a plywood bottom and sides encapsulated in fiberglass with epoxy resin. True to her Carolina heritage, the 64 Builder’s Choice has a flared bow, a knife-like forefoot that gives way to a modified-vee hull and a broken sheer line. “Some [builders] have gone with modern styles, but I’ve been more traditional,” says Ramsey. 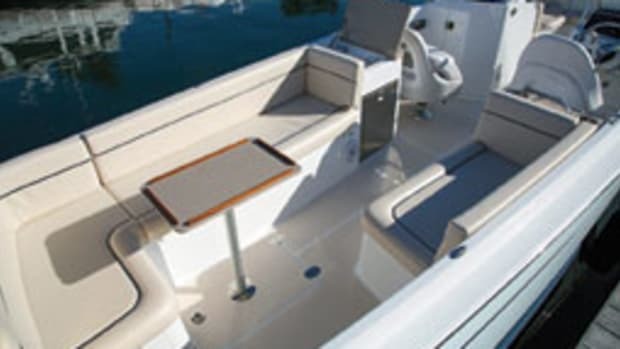 Regulator center consoles show a traditional profile with a sloping sheer, high freeboard and a flared bow. The same proven deep-vee design has been used to build every Regulator from the get-go. The fleet today consists of six models from 23 to 41 feet. The Maxwells are proud that they test their boats in some of the roughest waters on the East Coast. “Running out Oregon Inlet to the Graveyard of the Atlantic next to boats from guys like Paul Mann, Ricky Scarborough and Paul Spencer is pretty special,” says Maxwell, who fishes tournaments aboard the 76-foot Paul Mann Ann Warrick. Howell, Scarborough and Spencer Within a five-year period in the mid-1990s, two prominent North Carolina boatbuilders emerged and a third began a new chapter. In 1993 Ricky Scarborough Jr. began working at Scarborough Boatworks, carrying on the legacy of his father, Ricky Sr. 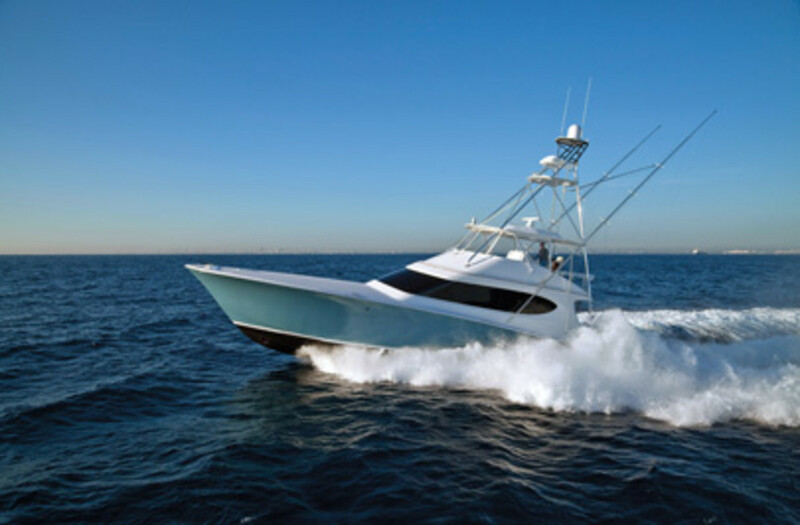 Founded in 1977, the Wanchese company has built more than 80 custom sportfishing boats from 25 to 85 feet, including the 41-knot, 63-foot Waterman completed in October 2015. • In 1996, in a tin shed without power or plumbing in Manns Harbor, Paul Spencer founded his operation. 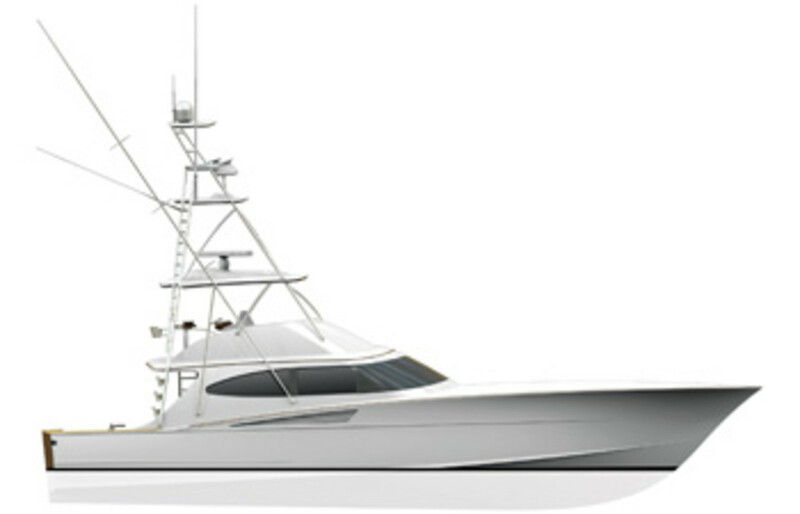 Now in Wanchese, Spencer Yachts builds custom sportfishing boats from 37 to 90-plus feet. The Spencer 63 Big Deal (formerly Gratitude) was completed in 2014 and tops out at 42.5 knots. • In 1998, Ritchie Howell, who credits Spencer with influencing his style and construction techniques, founded Ritchie Howell Yachts. There are 25 Howell boats on the water, ranging from 25 to 65 feet, with three in production, including the 38-knot, 61-foot convertible Venezuela. The company is in Manteo. — C.L. 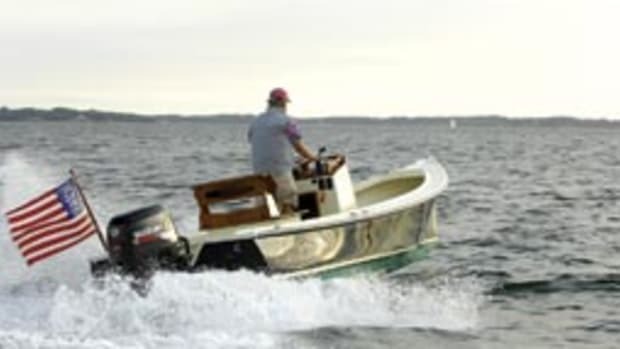 Parker has been building seaworthy small boats since the company was founded in 1979. 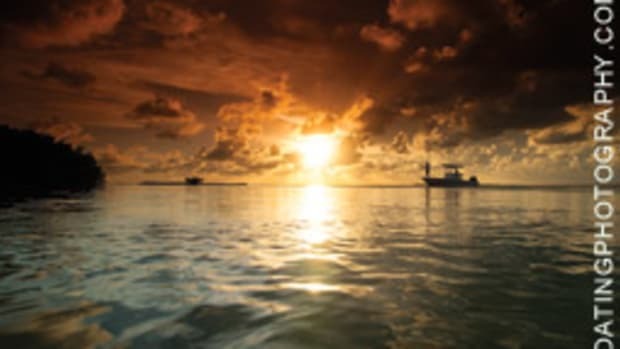 “I started out commercial fishing, so I know a vessel must get you home safe no matter what the weather,” says Linwood Parker, 69, CEO and president of Parker Marine Enterprises. The boats’ deep-vee hulls have a sharp entry for slicing through waves and a wide beam for stability. Parker made a name for itself early on with pilothouse models that had a secondary helm station in a deep cockpit. During the past few years, the company has been building boats with more creature comforts while maintaining their toughness and durability. “From the tops of the gunwales to the keel, we are still building the rugged Parker boat that was born from our commercial workboat heritage,” says Parker. The Parker fleet today consists of center consoles, walkarounds, pilothouse boats and bayboats. A dual console joins the mix in 2016. “This boat gives you all the features and conveniences that boaters are looking for these days, like versatile seating and an enclosed head and the latest electronics and electrical systems,” says Parker. The company had powered its boats with inboards or sterndrives, but a few years ago it started adding outboard models, beginning with 25- and 27-footers. A new 29 Express will become the flagship of the outboard-powered fleet when it’s launched later this year, says Perry. The boat’s strengths include the protection of a hardtop and wraparound windshield, in addition to the speed, performance and fuel efficiency of outboard power. Named after the group of textile executives who invested in the build, Knit Wits was born from a wager made at the Hatteras Marlin Club in 1959, says author Conoley. Tired of the weather keeping him off the water, Slane bet another member that he would return to the club in one year with a fishing boat — built of a new material called fiberglass — that could tangle with the seas off North Carolina. “Slane met his deadline, and the boat’s sportfishing success marked an important development in boatbuilding and sportfishing history,” says Conoley. Hatteras has built about 8,000 boats in its 56-year history, says Angel. The GT70 Convertible (see the opening spread) is the sixth GT model built. The first — the GT60 — was launched in 2006. All GT boats are built with solid-glass bottoms and PVC-cored hull sides, stringers, bulkheads and decks. The components are resin-infused for a strong, stiff structure. The GT70 has about 50 degrees of deadrise at the bow, flattening to about 10 degrees at the transom. 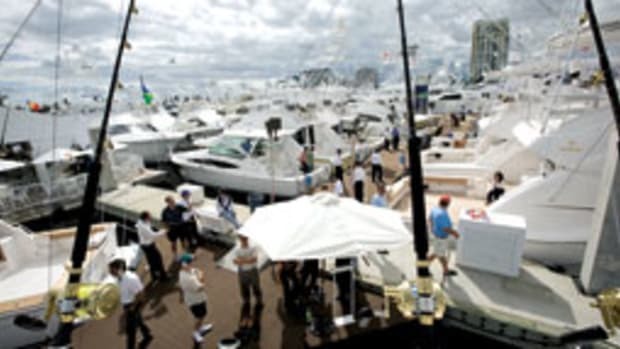 The boat debuted at last year’s Fort Lauderdale International Boat Show.